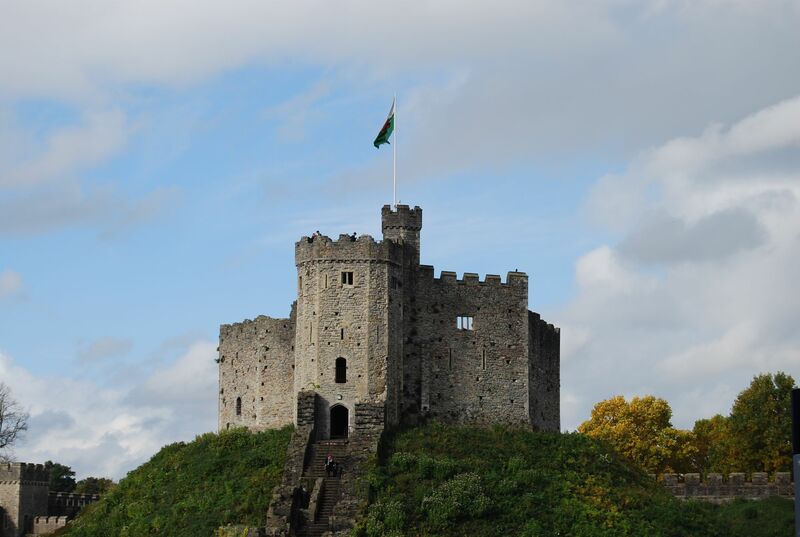 Though Wales has never really been on my list of countries to visit, when I had the opportunity to do so two years ago, I decided to take it. 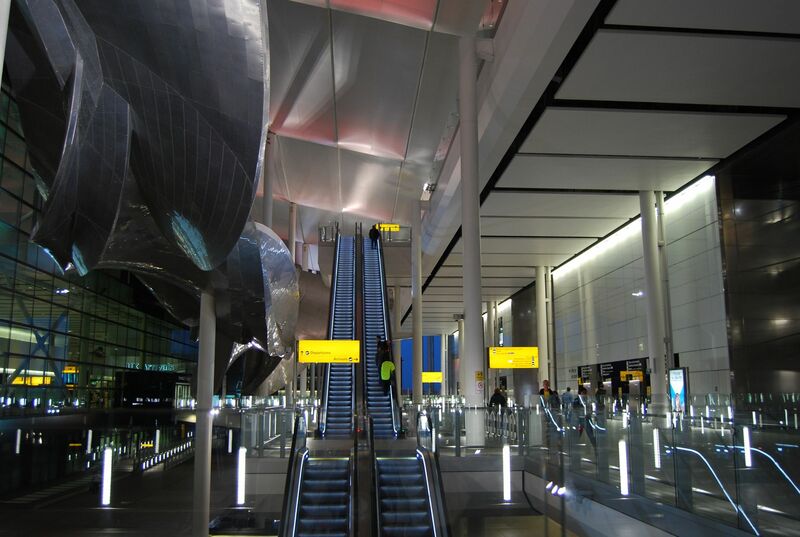 I arrived in London one October morning and was welcomed by the beautiful Heathrow Airport, doubling as a main transportation hub for buses and trains. 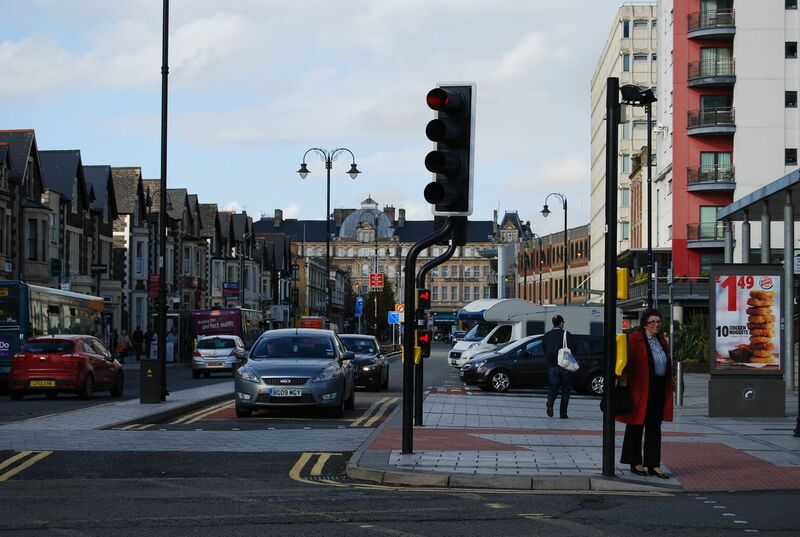 From immigration, I made my way towards the bus terminal; it was rather difficult to find at first, but luckily, people in the airport were helpful enough as I found my way to where the buses headed to Wales depart from. The bus ride from Heathrow to Cardiff took about three and half hours, though scenic for some part, but more than half the time was spent on the expressway with the view of paved roads and a bunch of other vehicles. 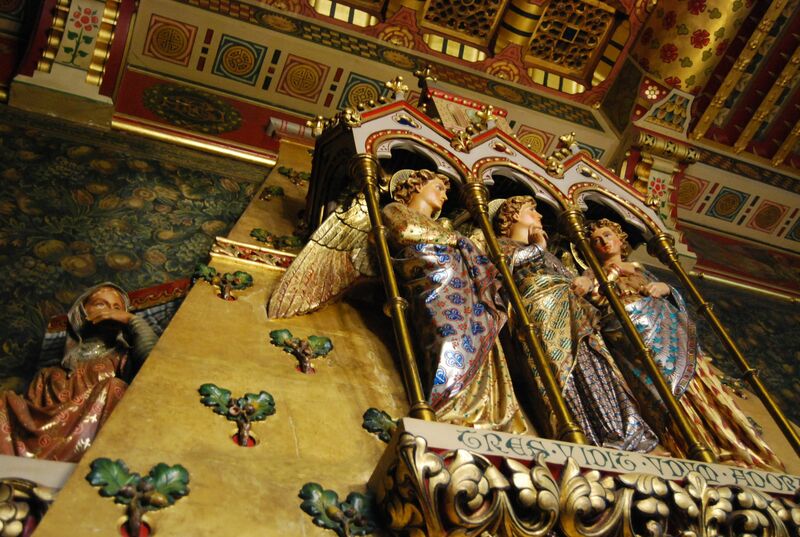 We did make a few stops, and it was interesting to see other English / Welsh cities along the way. 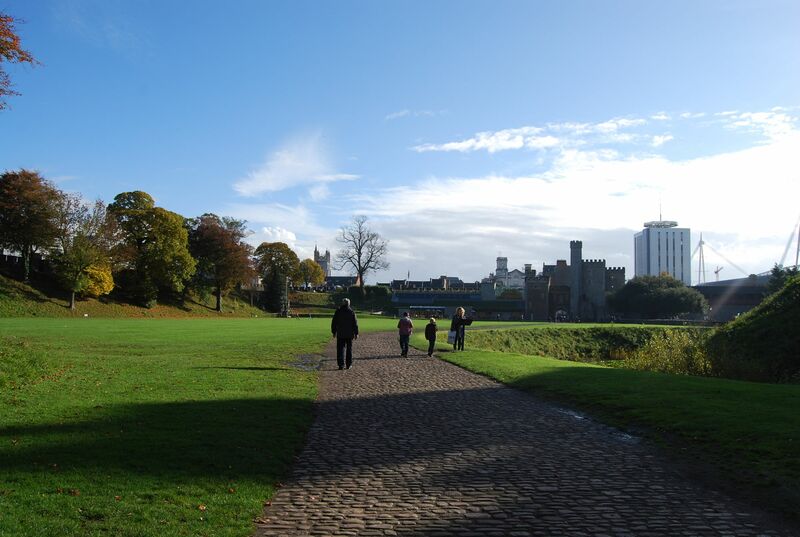 As we arrived in Cardiff soon-after, the bus ended its route at Sophia Gardens – about a mile and a half from the hotel I booked. Nonetheless, instead of squandering my money on hailing a cab, I took it upon myself to lug around my nearly 30-kilogram luggage and walk towards the hotel. At a glimpse, Cardiff seemed refreshing. 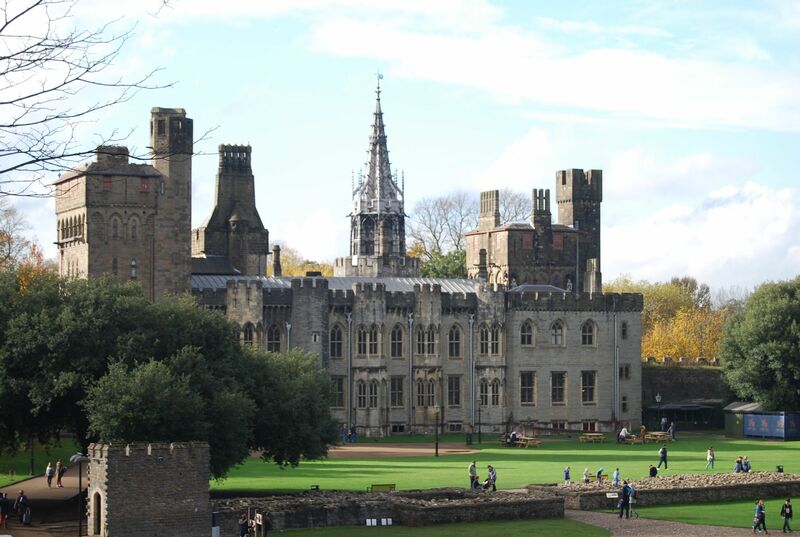 Being the capital of Wales, it can get quite a bit busy, but not as busy as the other capitals I’ve visited. My first impression after walking for a mile and a half to my hotel was that Welsh people are incredibly nice – always willing to help with a warm smile; and that majority of the people therein are laid-back, which again, reinforces the initial feeling I had of the city being a refreshing place to visit. 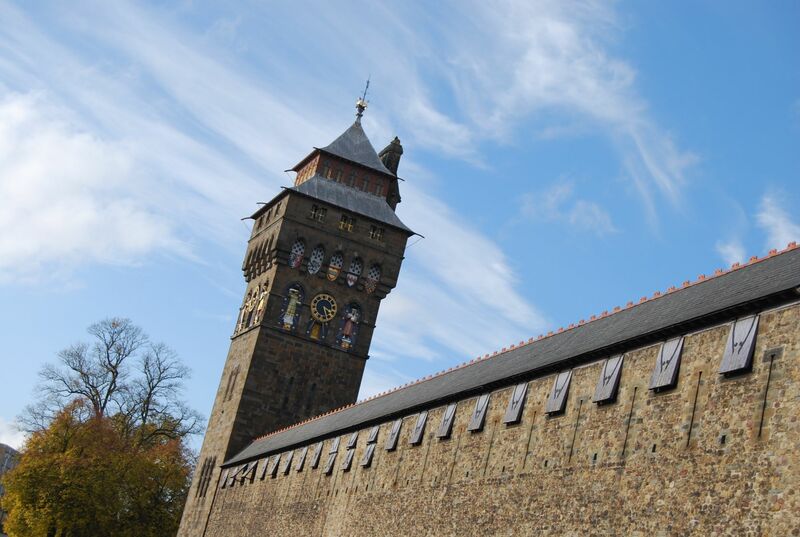 Upon dropping off my things at the hotel, I made my way towards the city center and onwards to the main reason why I wanted to give Cardiff a visit and that leads us to the must-visit when in Wales: the Cardiff Castle. 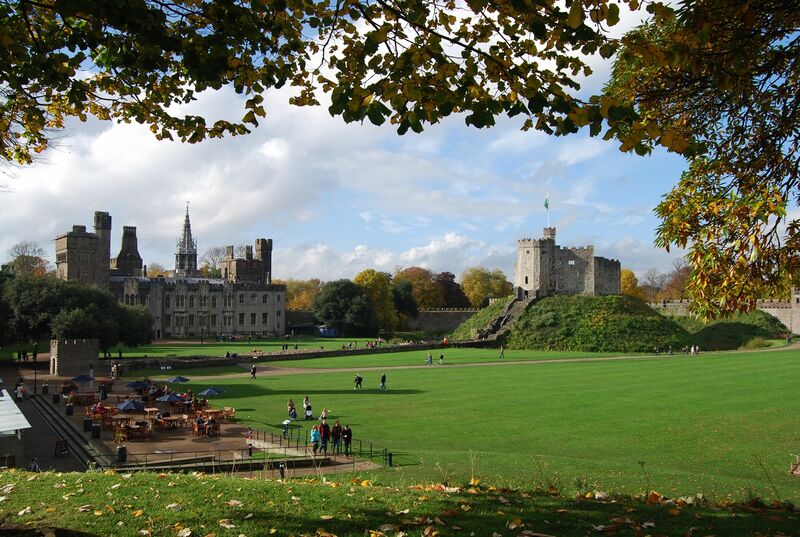 It was the finals for the Rugby World Cup 2015 season and since England was the host, Cardiff took part in celebrating the season, as they also hosted several games that year. 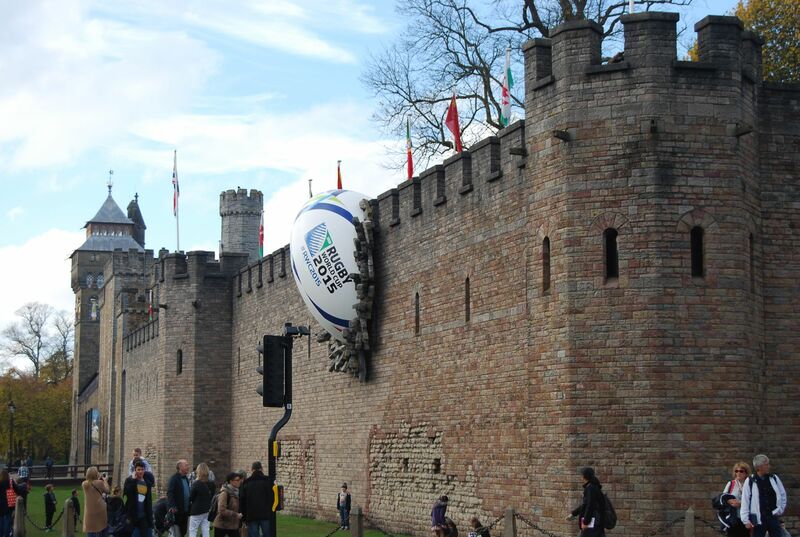 That explains the reason behind the photos below, as they cleverly planted a giant Rugby ball right by the entrance of Cardiff Castle. 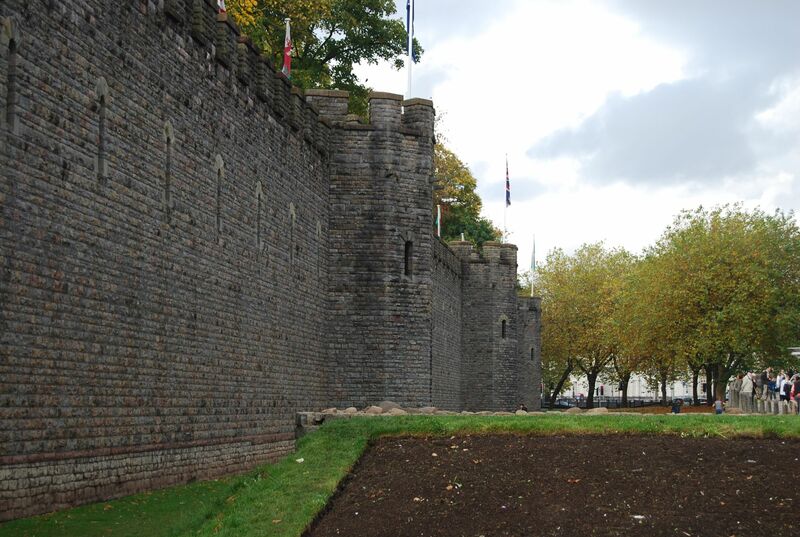 Cardiff Castle is surrounded by defensive stone walls, which were built around the 12th century, though it did go through some restoration programs over the past years. 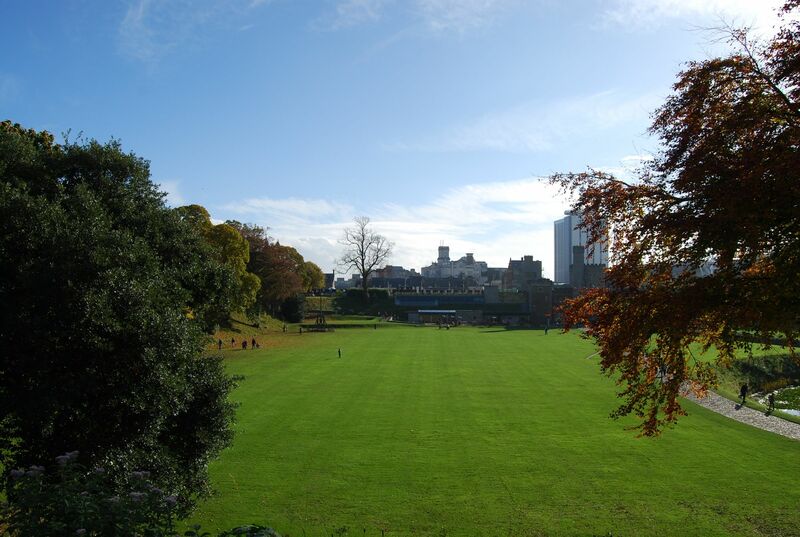 From the outside, you’ll see the Clock Tower standing high at 150m in the midst of the city. 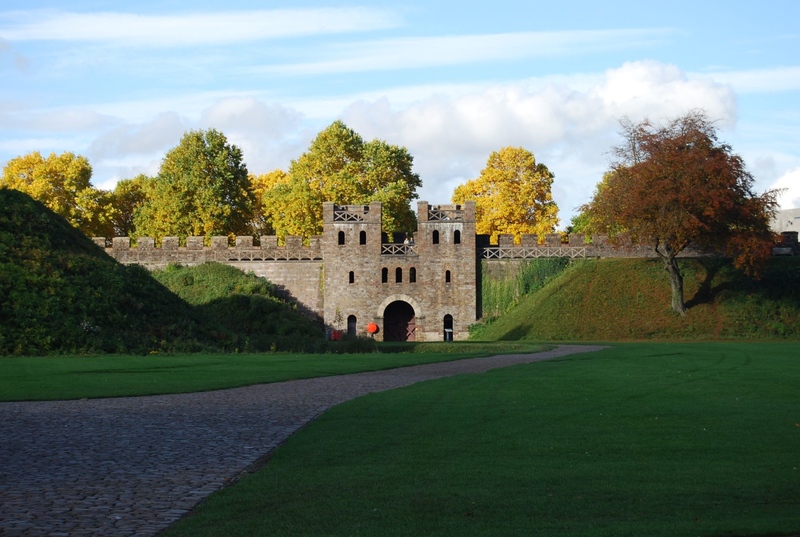 As I walked through the Castle Gates, the first thing that caught my eye was this beautiful structure, which I later learned the name of – Norman Keep; more on that later. 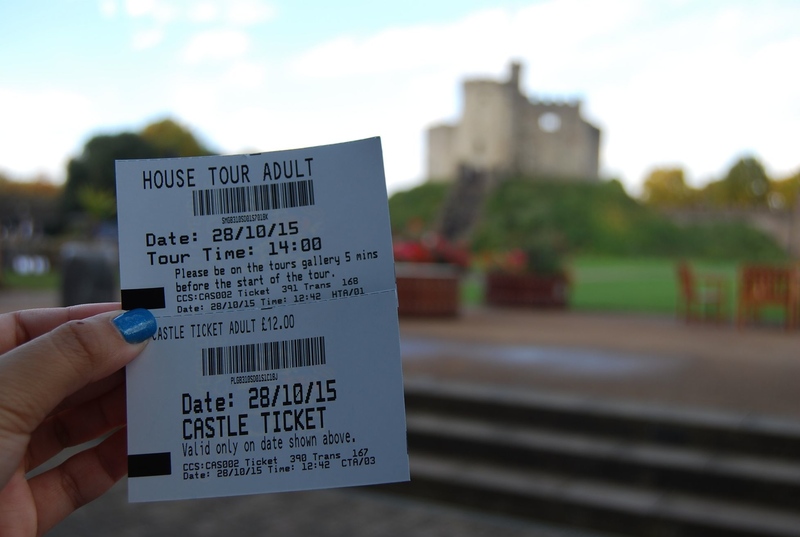 I headed towards the ticketing counter and got myself a Castle Pass for £12 and added about £3 more for the scheduled house tour. 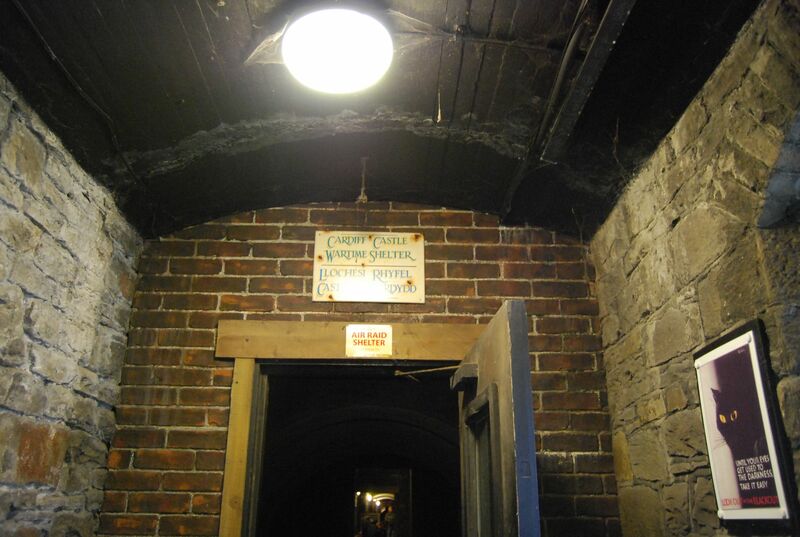 At the visitors center, you’ll see a staircase leading to the start of the tour. 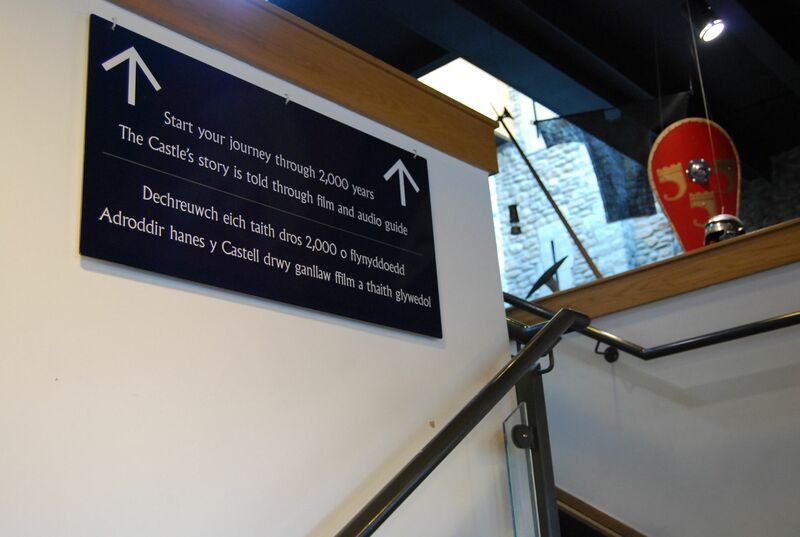 Note that this part of the visit was DIY, so you can come and go as you please; if you opt to go straight to the Castle grounds, you can head straight out, but I thought I ought to take a peak into the Visitors Centre, which exhibits photos and a historical timeline of the Castle. My favorite part about this part of the visit, however, was the view we got from atop the Visitors Center, which then leads you to walkway right beside the Castle Walls. 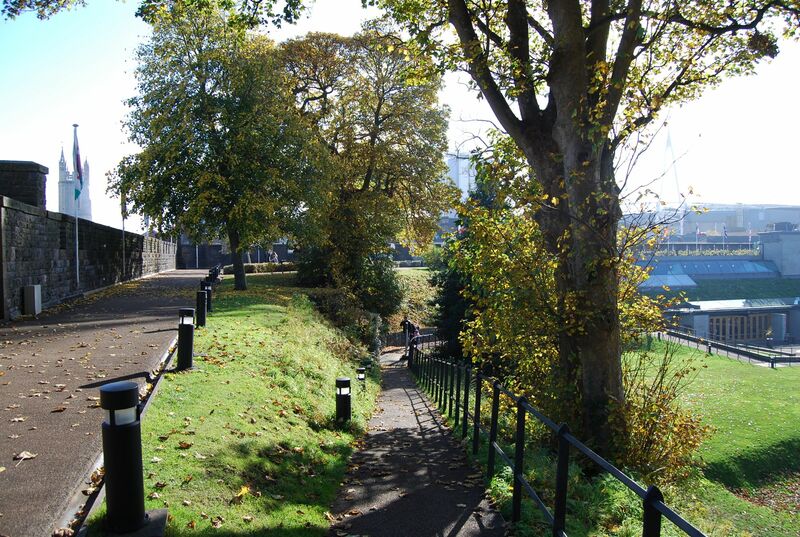 From there, you can get a view of the Castle itself and the surrounding landscape plus a glimpse of Norman Keep. 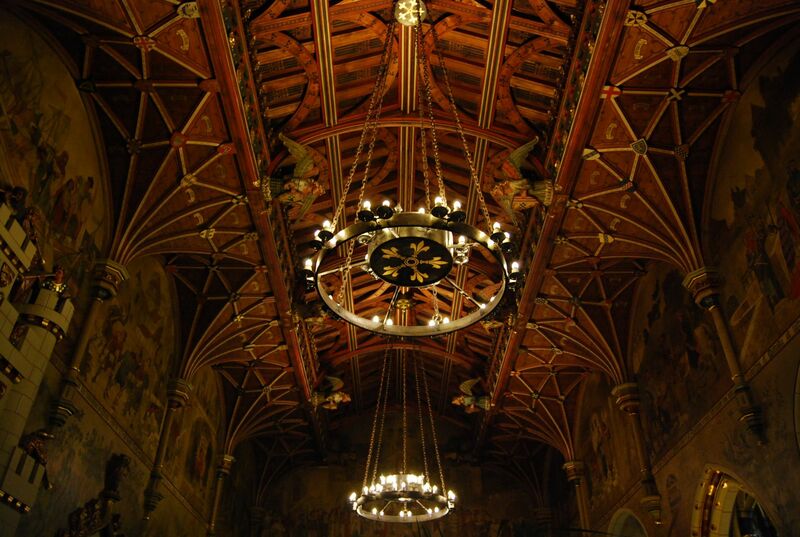 I believe this is one of the best views you could get in Cardiff. 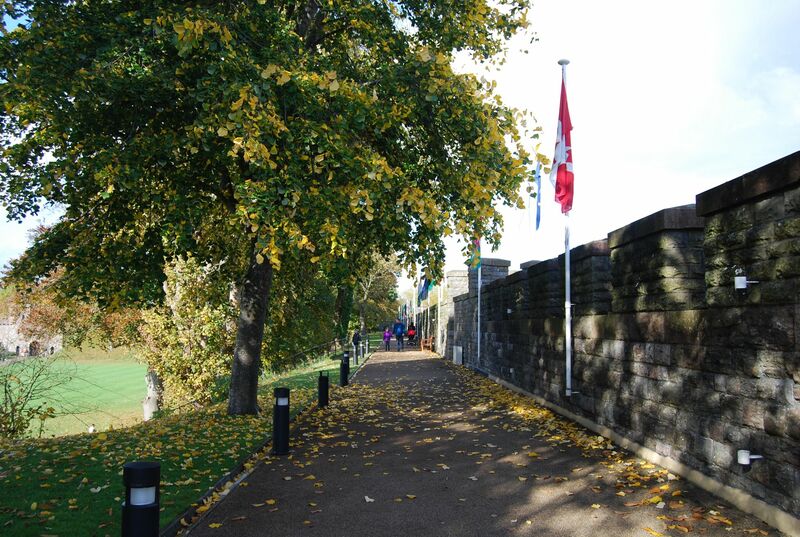 The stroll I took around the walkway beside the Castle Walls was refreshing, considering I had just arrived from two consecutive flights amounting to 17 hours of flying time and a three-hour bus ride. Getting a whiff of the fresh air Wales had to offer was a great start to the trip. 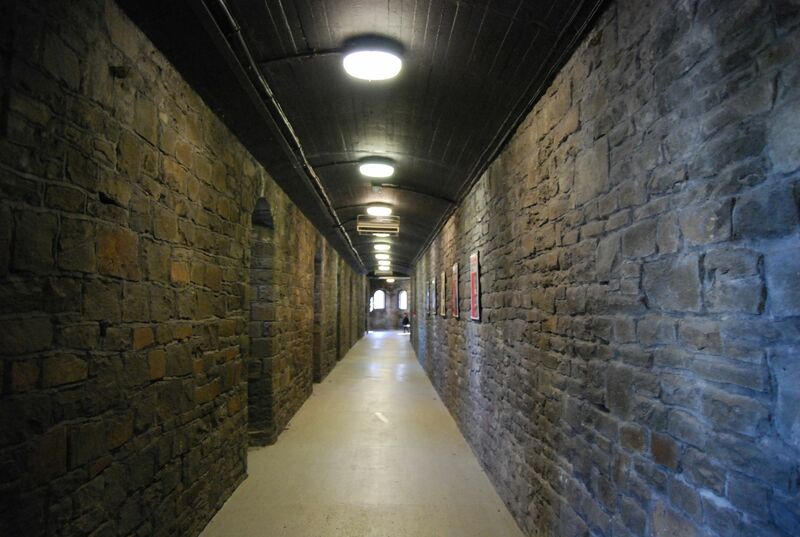 Within the Castle Walls, tunnels were cut-through during World War II, which could hold up to nearly 2,000 people. 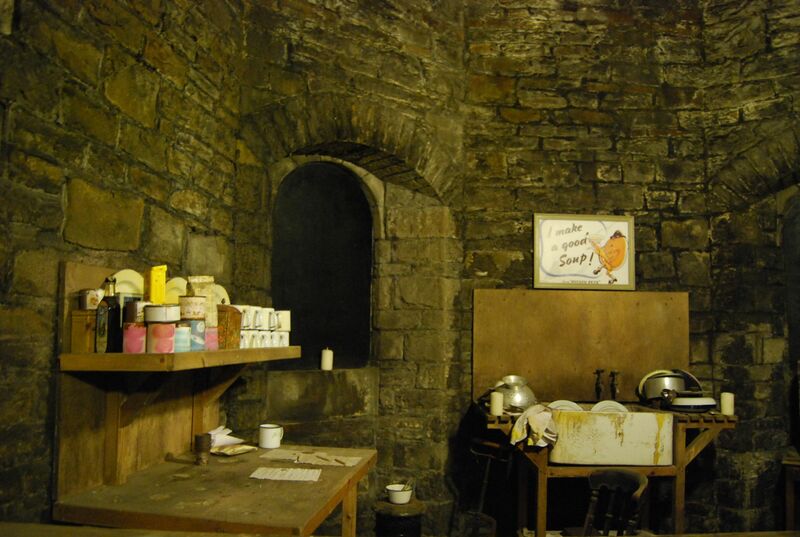 This helped protect those inside from any air raids brought about by the war. 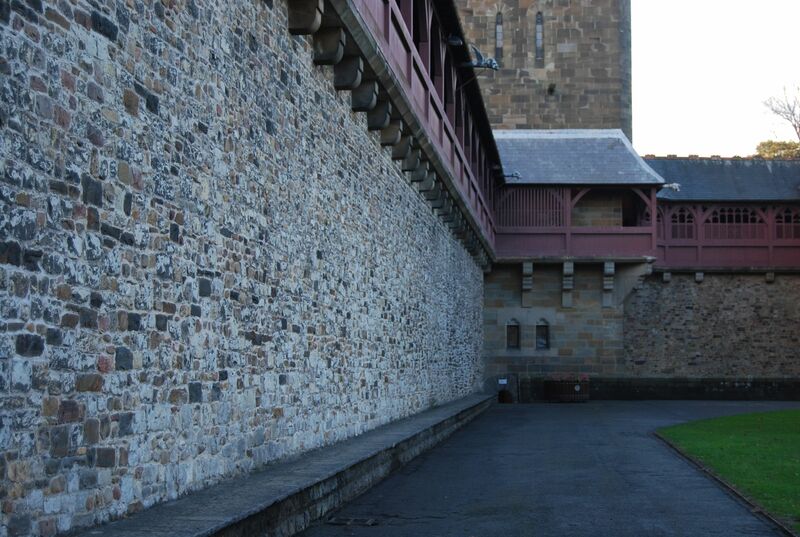 If you look at the Castle Walls from its exterior, you never would have guessed that the interiors could hold up to hundreds of people. 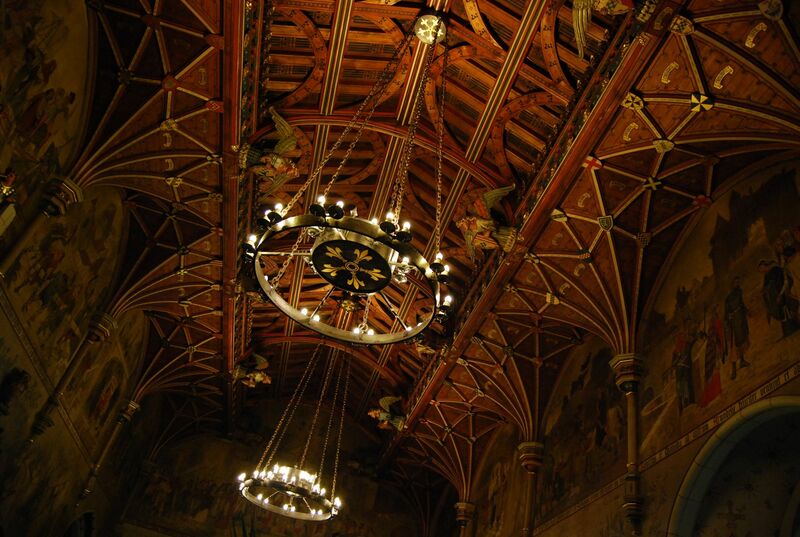 Norman Keep was built in the 1100s to protect those who lived therein from the political power struggle brought about in the mid 1100s. 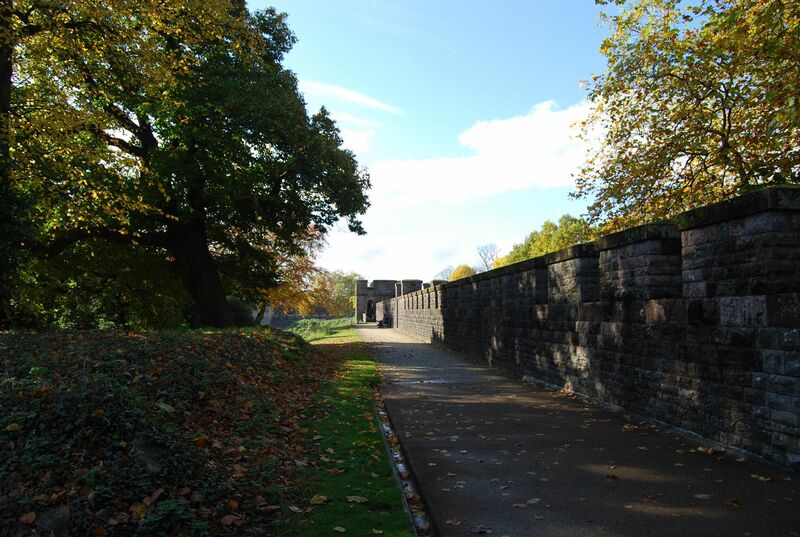 Though there isn’t much to see from the inside of the polygonal shell keep, as all you’ll see are walls given its size – save for little view decks where you could get a view of the Castle Grounds, it’s much more beautiful from the outside. 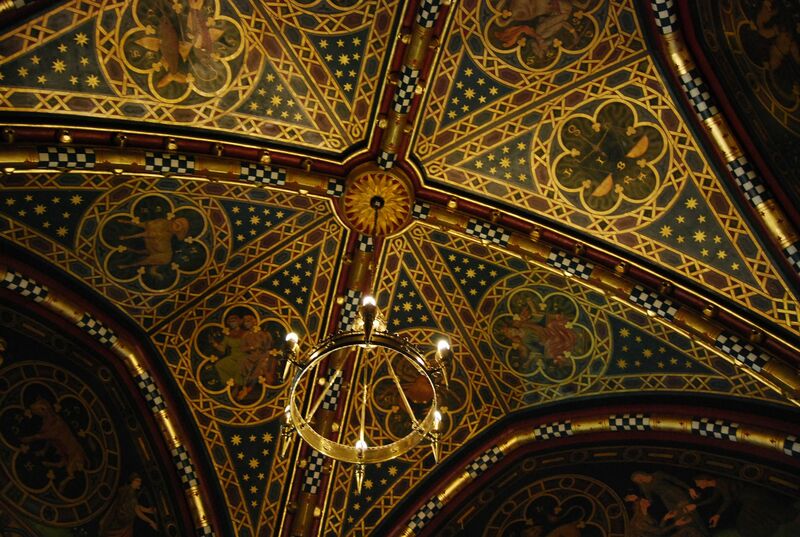 I ended my afternoon at Cardiff Castle with the House Tour, which took us into the interiors of the Castle, presenting itself with intricately designed rooms – from floor to ceiling: everything seemed to be extravagantly-built. Just a side story: later that evening, I headed towards the city centre for some shopping and tried on some clothes in my all-time favorite store – Zara. I headed out afterwards without purchasing anything and went to the store beside it and about five minutes later, I realized I didn’t have my phone! I usually hate bringing bags when it’s time to shop, so when I couldn’t find it in any of my pockets, I raced to towards the dressing rooms in Zara and luckily, I found my phone there. I can’t imagine what I would have done had I really lost it. To be honest, it was a good thing this didn’t happen back home in Manila, where I might have been too late when I realized my phone was gone. But I can get pretty reckless with my things, since this happened to me previously too, in LA several years back – also in a Zara dressing room, but that time, I left my camera! An employee raced outside the store handing me my camera, saying “I don’t think you’d want to lose this.” Ah, people surprise me sometimes. 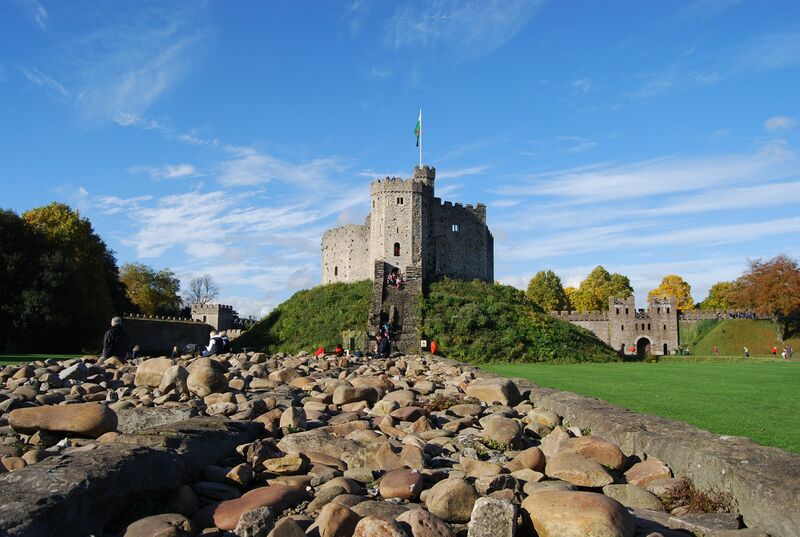 That aside… Cardiff truly is such a charming city, and its Castle, even more-so; with the people exceeding my expectations as well. Though I’ve heard several times that Welsh Weather isn’t as enjoyable given that it always rains, I was lucky to have experienced most of my stay with the sun shining its way through.